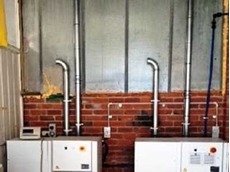 Ezi-Duct installed its fume arms and mobile hoods recently at the Sydney factory of leading Australian machinery manufacturer John Heine & Sons. 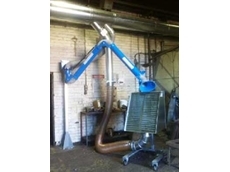 Ezi-Duct supplied modular steel ducting and flexible ducting for a high vacuum dust collection system. 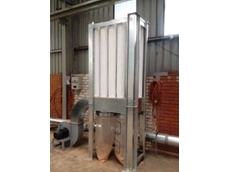 An Ezi-Duct eCono 4000 self-cleaning dust collector with ducting was installed at a Melbourne-based manufacturer of solid timber furniture. Ezi-Duct has upgraded its Auburn Factory with new machinery, demonstrating its continued commitment to keeping its manufacturing in Australia. 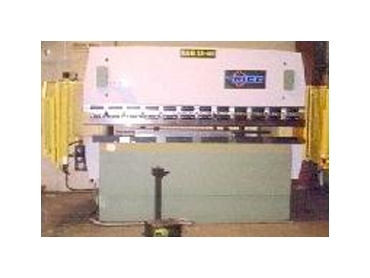 Ezi-Duct has added a range of European machineries such as a Spiro bend making machine, a Rico CNC brake press, new CNC rollers, an auto seaming machine and a new RAS power Jenny machine in addition to a new set of power plate rollers and a power Jenny wheel from China. 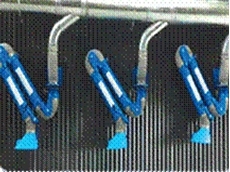 Ezi-Duct has also upgraded its manufacturing computer system and software. Managing Director of Ezi-Duct, Wayne Dockrill points out that a vast majority of their competitors are agents or resellers for overseas owned companies and do not manufacture anything in Australia. Many even falsely claim their products are Australian made when all they do is assemble a few components in their warehouse. 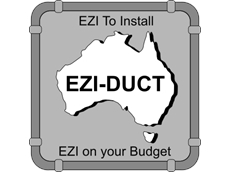 Ezi-Duct manufactures most of their products in Australia and will continue to do so. The new machinery will help the company improve product quality and efficiency, and provide cost effectiveness to customers. Ezi-Duct is Australia’s leading supplier of dust collection, fume extraction, pneumatic conveying and mechanical ventilation equipment. Ezi-Duct produces a large range of metal ducting in both galvanised and stainless steel, flexible ducting, dust collectors, fume extractors, fume arms, rotary valves, and industrial fans and blowers, all available through a network of branches in Melbourne, Sydney and Brisbane.